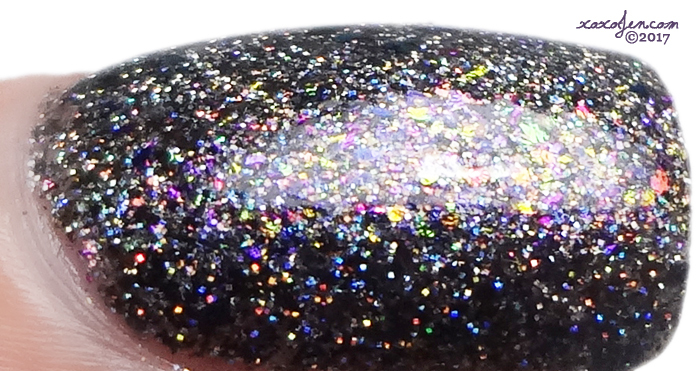 Crows Toes: Abracadabra launched at HHC as a limited edition polish in March of 2016. I purchased it and finally wore it in 2017 which means that, yes, this is another vault post! Abracadabra has a variety of multi-colored ultra-chrome and taupe flakes plus holographic micro-glitter and was launched with two others that I did not purchase. It is super sparkly and in your face. I tried really hard to capture its beauty, but felt that I failed at that. xD But here it is, in all it's sparkly loveliness! You can see what Crows Toes is up to nowadays at their shop!